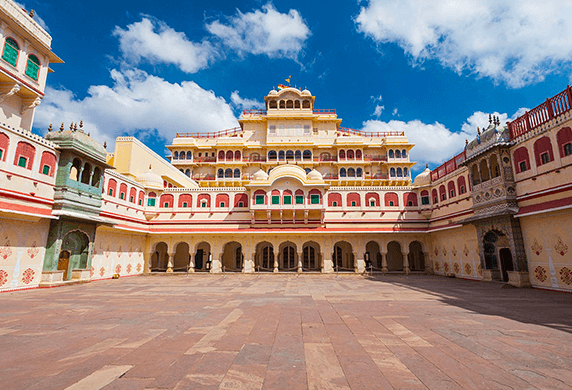 Built in 1734 by the King of Jaipur, Nahargarh Fort sits atop the Aravalli Ranges and is believed to have been built as a royal hunting lodge. 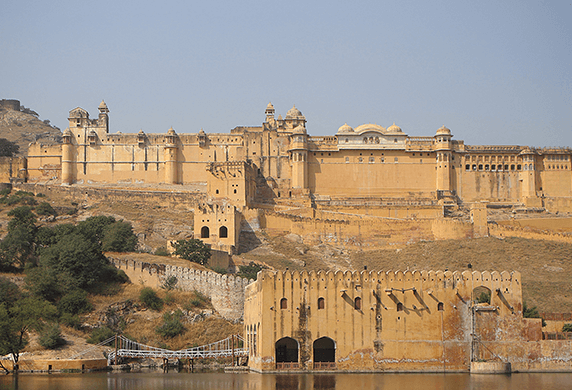 The fort was connected to Jaigarh Fort by tremendous walls, and was part of a larger defence system meant to protect the city of Jaipur from attack. 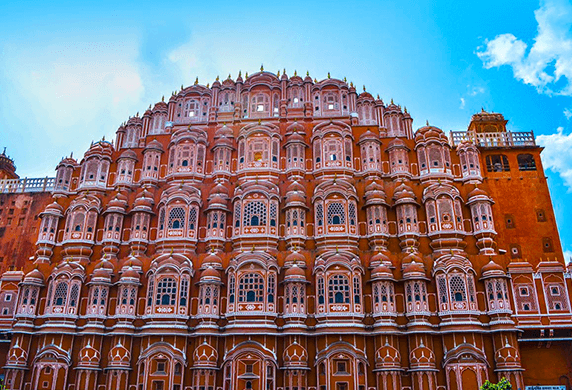 Towering high over the walled pink city below, Nahargarh Fort provides almost dizzying views over Jaipur. 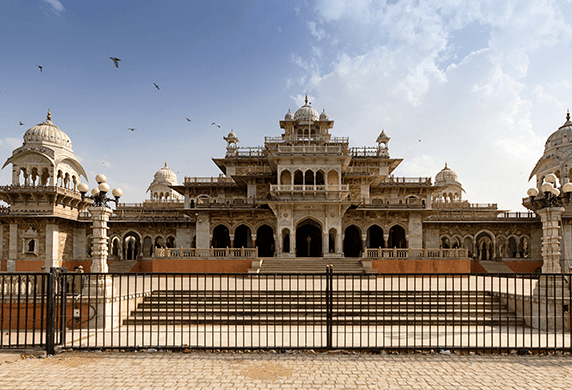 The origin of the name Nahargarh is debated. 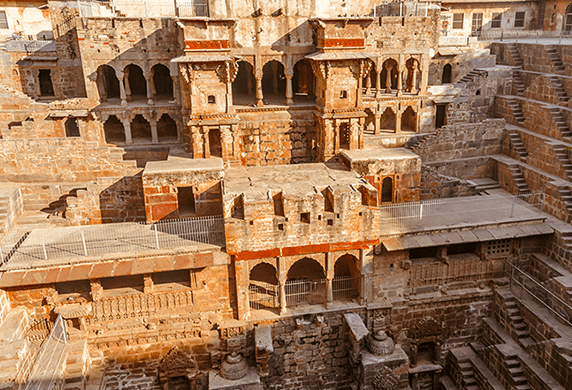 Some say that the fort takes its name from Prince Nahar Singh Bhomia, whose spirit once haunted the fort and was pacified when a temple was built here in his honour. Indeed, the temple can still be seen here. 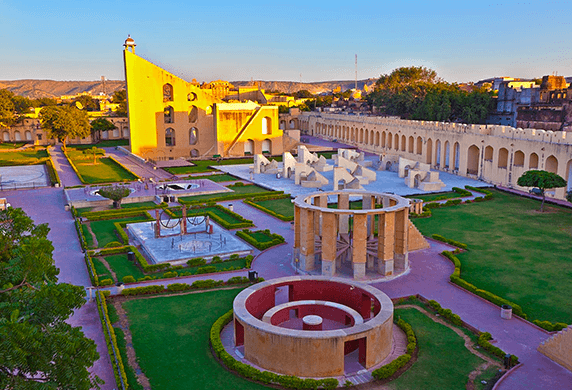 Others say that Nahargarh meaning “abode of tigers” takes its name from the large cats that used to roam wild in this area. 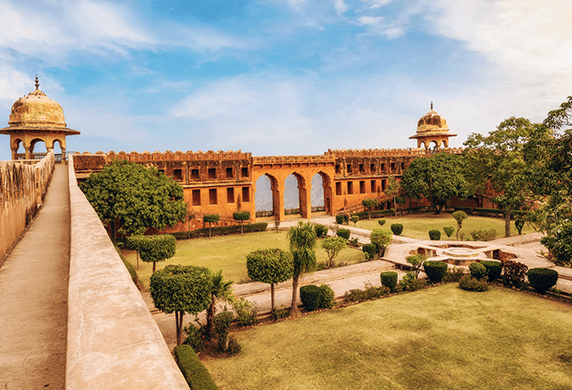 An interesting sight within the fort is the Diwan-I-Aam: an open enclosure where the King would meet with commoners who had braved the tiger inhabited hills to air their grievances before his majesty.